opening activity. Have them read the novel. Consider watching at least portions of the movie. Share current events information about real totalitarian regimes. Write a biography of George Orwell focused on his work, 1984. When did he write the book and why? Create a newspaper clipping about events in the life of Winston Smith. 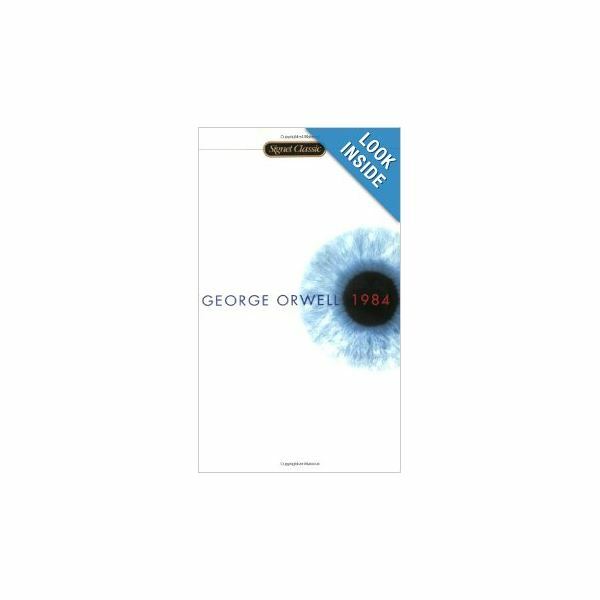 Create a presentation outlining the themes of 1984 and supporting your selections with examples and quotations from the story. Write two biographies of Winston Smith: one version that is faithful to the book and one version that may have been written by the Ministry of Truth. Choose three literary devices used by the author and explain how they added to the story. Create a time line of the plot events from 1984. Compare the world that Orwell created in 1984 to another totalitarian culture, past or present. How are they similar? How are they different? Create a poster to show the comparison. Compare and contrast three of the main characters in the book. Write a new ending for 1984 in which Winston escapes from the Ministry of Love before his will is broken. Choose three scenes from 1984 and rewrite them as screen plays. Choose actors and actresses for each part (from your own circle of acquaintances or from currently popular stars) and tell why each person should play the part you've chosen for them. Research the public's reaction to 1984 over the past decades. In your opinion, what was Orwell's purpose in writing it? Did he accomplish it? What evidence can you provide to support your claims? Imagine that it is the year 2284. The International Public Library System has decided that it is time to archive books that are no longer relevant. Use video, audio clips, and/or other non-print media to make a case to keep 1984 on the virtual shelves and available to the public. Teachers around the globe have contributed lesson plans and project ideas that may be useful to you. Many analyses and summaries have been written about 1984 and can be useful to students as they complete their projects. These websites provide a sampling. Is the project complete? Did the student answer all of the questions and provide all of the requested information? Are sources cited according to the standards and format that you requested? Does the student's project demonstrate that he or she understood the concepts that you were teaching? For partner or group projects, is there evidence that students worked together appropriately and that all contributed to the project? Was the final project published or shared in a manner that met grade level standards for grammar, spelling, neatness, and/or public speaking?